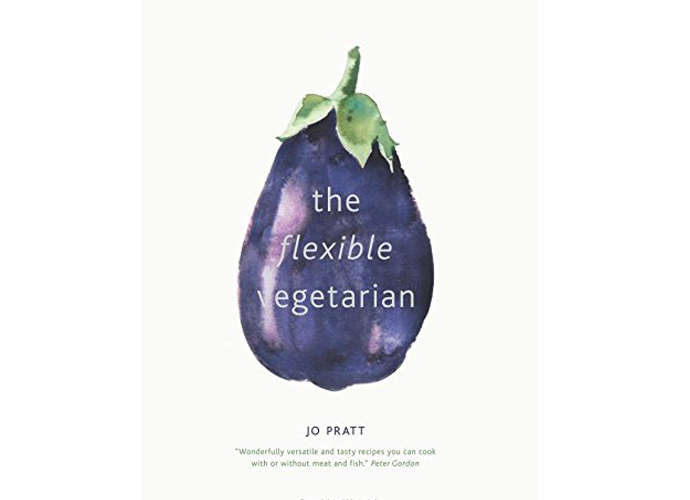 When I first read The Flexible Vegetarian I wasn’t sure it was different enough to suggest you bought it, after all we’ve all got enough cookery books, recommending a new one requires it to have a strong point of difference. The title, however, is bang on trend, most people I know are flexing between being mostly vegetarians with occasional bursts of meat and fish eating. We all know the data on veggies living longer and healthier lives, so it makes sense. 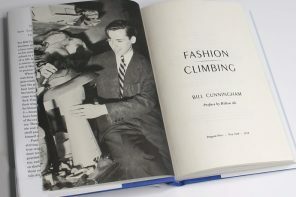 Then youngestson, who is an excellent cook, grabbed this off the book pile to read. He thought it was terrific so I thought I should give a couple of the recipes a go. 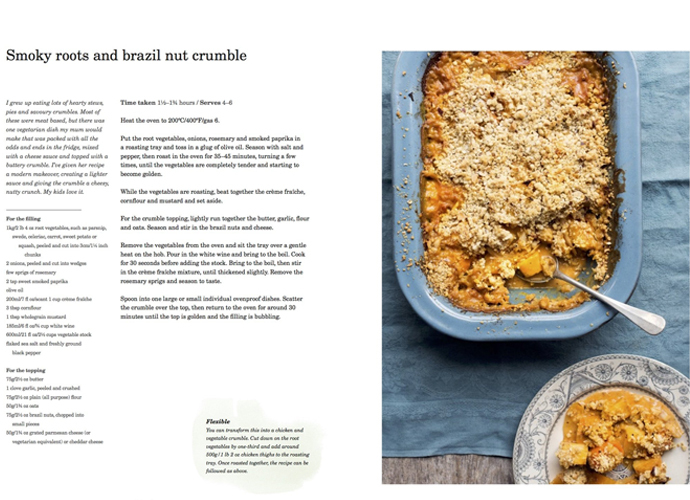 I made the Smoky Roots and Brazil Nut Crumble (above) and it was a HUGE hit, it’s so tasty and refreshingly different, eldestson even asked for the recipe. The book lists its recipes as meat free, but has suggestions on how to add meat or fish if you so fancied. Jo writes well, she has a modern, vibrant tone of voice and the recipes are nicely photographed. I’ve since made a number of dishes from the book and all have been simple but tasty, so I’ve completely revised my thoughts on it. 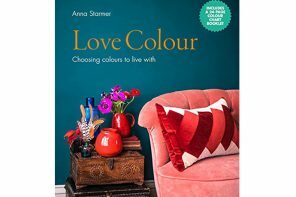 I think it would make an excellent present for anyone who’s interested in cooking but hasn’t yet got an extensive collection of books. Previous articleSoulful Baker by Julie Jones. I shall look out for it in the library. As a vegetarian for the past thirty years I think most recipe books end up reinventing and representing similar recipes. From the current crop I find Hugh FW’s are worth a look if you are flirting with the idea of including more vegetarian meals in your diet.